UBC’s Okanagan campus offers unique conference space in the summer (mid-May to late-August) for groups of up to 300 people. 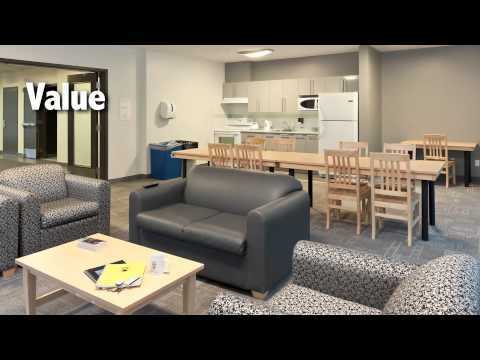 With over 50 meeting rooms from lecture theatres to boardrooms, various catering spaces and over 500 sleeping rooms all set in a beautiful campus environment, UBCO is a conference destination on its own! Check out our video to get a quick impression of what we can offer you. For more information about UBCO Conference Services please contact us at conferences.ubco@ubc.ca or 250.807.8050 or download our brochure.